Order the KACO inverter directly at the best price with Alma Solar. 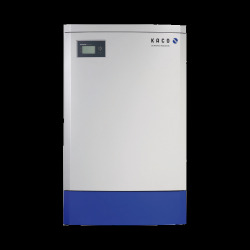 The KACO inverter offers the best performance for three-phase systems. This three-phase solution is ideal for high power solar installations. 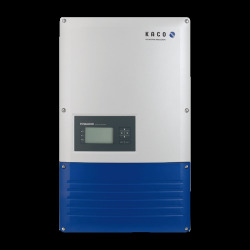 It is possible to make solar self-consumption but in this case, the KACO inverter will be used for commercial self-consumption. It is more easily used for high powers. The storage solution does not yet exist at KACO. Find our KACO Powador inverters at the best price on our shop. 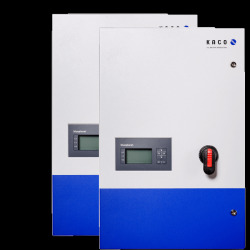 KACO NEW ENERGY is one of the world's top three manufacturers of photovoltaic inverters. 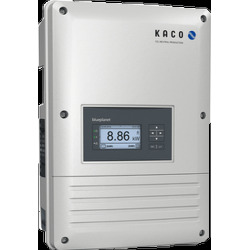 All KACO Powador inverters are manufactured in Germany with a minimum warranty of 5 years (some are 7 years warranty). 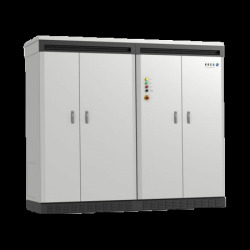 The KACO Powador inverter range TL3 have the same operating range MPPT from 6kW to 60kW: from 100 to 800V. In addition, they are all equipped with a data logger as well as multi-tracker technology. These inverters have excellent rating on PHOTON TEST (independent organization that evaluates inverters). These tests guarantee you a better photovoltaic production on your projects. Buy the KACO inverter at low prices and discounts and have it delivered to you very quickly.